Face à l’ énorme complexité des ces questions, il es urgent d’y aller, au risque d’essuyer les plâtres, des se tromper ; car il y a une béance formidable, et un appel! Tunisia – I need light,” and so we settled right next to the window. This urge to light was guiding his life, in a metaphorical sense: it was the strive for enlightenment. This was about a very bright light, illuminating the entire socio-historical space and at the same time it was the spotlight, which made it possible to take a close look at details. 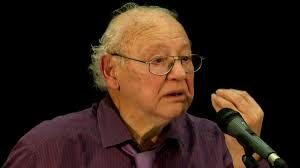 Paul Boccara was educated as economist and mastered the tiresome depths of the bourgeois profession as well as the peaks of political economics. The latter was never a flattened shortcut for complex socio-historical constellations. It was only through knowledge of complex relationalities possible to achieve a truly creative application – a Marxist approach in the best possible sense. His profound thinking was also characterised by the fact that he studied in addition to economics also history and anthropology. The Études sur le capitalisme monopoliste d’ État, sa crise et son issue [Éditions sociales, 1973] were probably part of the compulsory reading of the left at that time. Boccara’s work was ground-breaking, but at the same time it was part of a wider discourse concerned with the changing role of the state. This has to be understood against the historical background: on the one hand, at least throughout Europe, the ‘special conditions’ of the post WWII period came to an end and the West had to settle down with a consolidating East-West relationship. What existed as a socialist state and their coalition could not be met by capital alone – if the state would not have existed already, it would have been invented at that time to complement and consolidate the hegemonic claims of the monopoly capital. In fact, such a re-invention of the string state took place in the sense of a close, organic interweaving of economy and state. The Théories sur les crises, la suraccumulation et la dévalorisation du capital [Delga, 2013/2015] are nearly a late work. Hardly perceived, unfortunately not translated so far, the two volumes show the misery of the economy and of economics. It is noteworthy that the current crisis is analysed in a very fundamental way as a fundamentally structural crisis. Boccara’s oevre goes beyond other works, because it makes use of the very basics of economic theory: accumulation, theory of value, production and consumption, the long waves and the differentiated consideration of predator, casino and profit of capitalist economy are analysed in principle and assessed in connection with the techno-economic processes [‘information technologies of new type’]. Neuf Leçons sur l’ anthroponomie systémique [Delga, 2017], the last book, which is the assets we inherit – and the appeal, an urgent call obliging us to concrete and detailed analysis. Importantly Boccara emphasises the role of anthroponomy – these questions occupied him intensively in recent years. This is refreshingly different from many ‘identity and value discussions’ also in the left. ETHIOPIA’S flagship social-housing programme is probably the most ambitious in Africa. But for most locals the houses are still barely affordable. The poor cannot afford the down payment for even the most subsidised units. And those who can often struggle to meet repayments, opting instead to rent out the houses and move elsewhere. In this respect, though, Ethiopia is hardly alone in Africa. Take Angola, where a recent $3.5bn social-housing project on the outskirts of Luanda, the capital, offered apartments from $84,000, in a country where incomes per person are just over $4,000. Or Cameroon, where the government’s social-housing scheme is out of reach to 80% of the population, according to the World Bank. In Ethiopia the state has spent over a decade building cheap homes on an almost unprecedented scale, but supply still fails to match demand. Why? 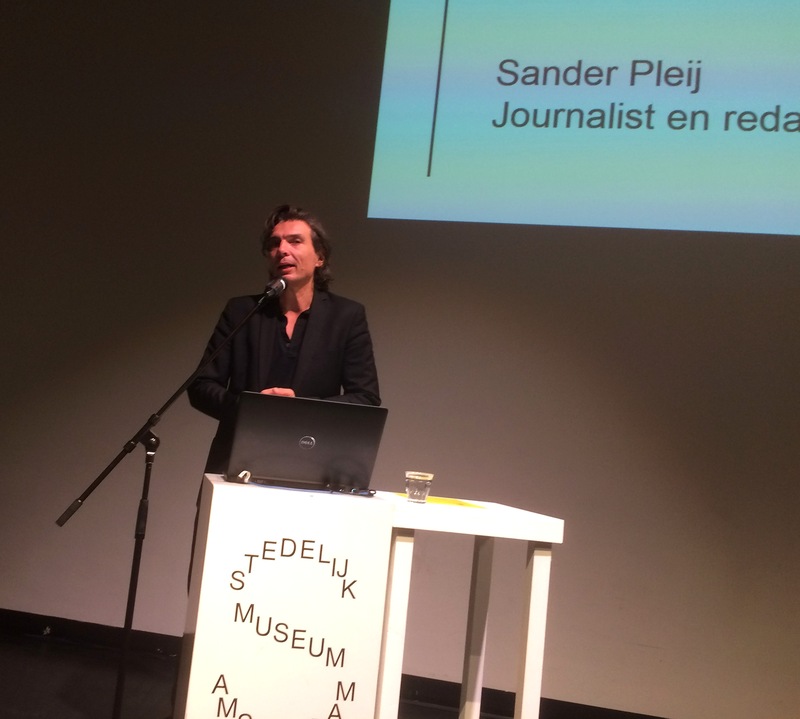 To talk of ideology in the Netherlands is to court controversy. The Dutch are not exceptional in that sense. Ideology is known internationally to have a bad reputation. After all, the word first came into common use when it was employed by Napoleon as a swearword. But the Dutch distaste for ideology seems to have taken on particularly sharp features. The country lacks a prominent tradition of political theory and political ideology research and often perceives itself as having achieved the end of ideology. Taking recourse to Mannheim’s sociology of ideas, I have attempted to contest that image and fill a small part of the lacuna of Dutch ideology studies. The book started out with an attempt to formulate – in broad strokes – an explanation for the peculiarly apolitical atmosphere in Dutch intellectual life. 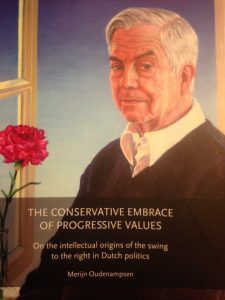 The relative absence of ideological thought in the Netherlands, I have argued, can be traced back to the historical dominance of one particular form of ideological thought: an organicist doctrine that considers Dutch society as a differentiated, historically grown, organic whole. It considers the state and the media as the passive reflection of societal developments, with elites serving as conduits. Organicism is a sceptical, relativist ideology that stresses harmony and historical continuity. Shared by the twentieth-century elites of the different currents in the Netherlands, this ideology has been depicted as the metaphorical roof uniting the different pillars. It has filtered through Dutch intellectual history in complex forms, to emerge in more contemporary manifestations such as Lijphart’s pluralist theory of accommodation. The thesis of this book is that this has resulted in a lingering tendency in the literature to downplay conflict, rupture and ideology in Dutch history. And instead to favour more harmonious portrayals of Dutch society developing gradually and continuously as a unity, as an organic whole. 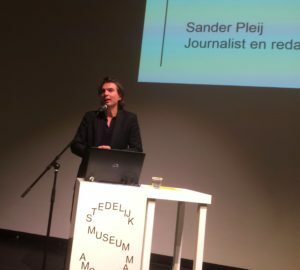 When it comes to the Fortuyn revolt, a similar inclination has resulted in depoliticized interpretations of the revolt as the exclusive imprint of secular trends that Dutch politics and media simply needed to reflect. Hans Daalder, the doyen of Dutch political science, argued that there is a political incentive to depoliticize matters in the Dutch political system. In the context of the close relationship between politics and social science in the Netherlands, this has given rise to a paradoxical reality: the more politically involved social science becomes, the more depoliticized it needs to become. Ironically, this means that a more autonomous social science will need to repoliticize its account of Dutch political transformation to some degree. That is what this study has sought to do. Dames en heren, dank voor uw aandacht, ik ben een heel klein beetje medeplichtig aan het ontstaan van deze avond en Margriet Schavemaker was zo attent me te vragen die achtergrond toe te lichten. In 10 minuten ga ik dat doen (of 9 1/2 ). Toen ik enkele jaren geleden mijn eerste werk van Joseph zag, was ik in het gezelschap van een vermaard kunstkenner met grote mond, een vriend die ik nu X ga noemen. We stonden op een tentoonstelling en ik zag… wat was het?.. bladpapier met notenbalken… een omtrek van een liggende hond? De vorm van een hut? Wat, waarom en hoe: ik zag het niet precies, maar ik dacht: hé, dát vind ik mooi! Wat een eigenzinnige wereld. Dat mooi slikte ik nét op tijd in. Kunstkenner X had me immers geleerd: échte kunst, vinden wij niet mooi, echte kunst, vinden wij goed. Dat je iets ook nog mooi kan vinden, is volkomen onbelangrijk, oftewel: oninteressant. Dit fascineert me: het lukt me nooit om naar eigen tevredenheid uit te leggen waarom ik een kunstwerk mooi vind. Het werk van Joseph trok me aan, zonder dat ik kennis had van de achtergrond en referenties. Ik stamelde wat over scherp pikzwart op verkleurd papier, zo wonderlijk een huisje onder een tafel geplakt en ik probeerde mijn onkunde beschaafd te maskeren door wat te mompelen over hoe interessant het opduiken van het motief van de herhaling was, misschien zei ik bij een installatie met hout en metaal zelfs wel iets als: zo sterk dat conflicterende materiaalgebruik. Waarom is iets mooi? En waarom is iets goed? Tja, ik heb vele, véle gortdroge essays over oude en nieuwe kunst gelezen en in ieder geval wat mooi betreft besloten: hoe mooier het werk, hoe slechter erover wordt geschreven. Gelukkig begon X me uit te leggen waarom het werk goed was. En zoals meestal in dat soort gevallen, vertelde hij niet zozeer over wat ik zag, maar vooral over waar het aan refereerde, over de ideeën waar het uit voortkwam: over de hoogstpersoonlijke zoektocht van de kunstenaar. Still, it is a bit surprising that all this is well known and still not much is changing. Surprising … ? 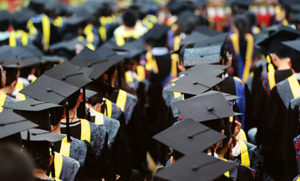 Perhaps it is not really surprising if we consider that the income of top-administration posts increase while the income of lecturers does not follow accordingly [see for instance the article titled: Times Higher Education pay survey 2016 in The Times Higher Education;https://www.timeshighereducation.com/features/times-higher-education-pay-survey-2016%5D. It seems that there is a long way towards ‘supporting the brightest by open systems’, overcoming the dominantadministrative policy of ‘wedge the narrowest by furthering their smart submission’.